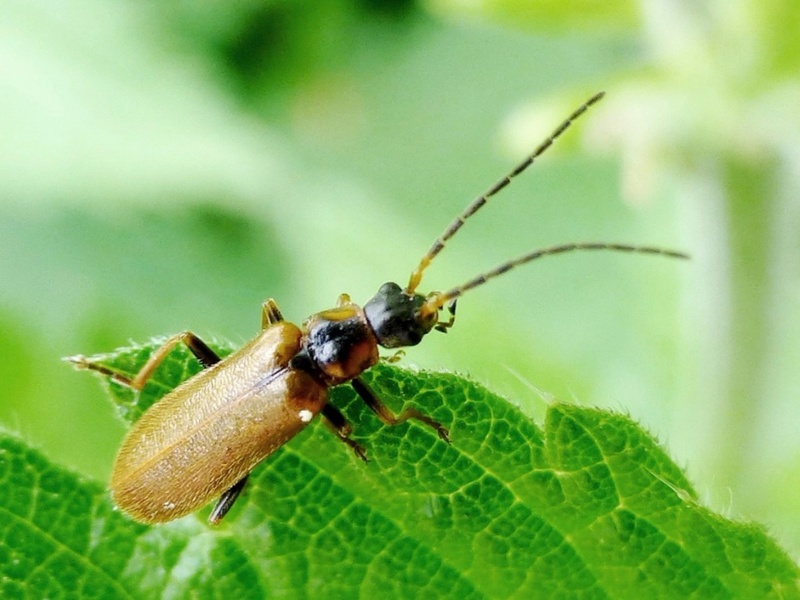 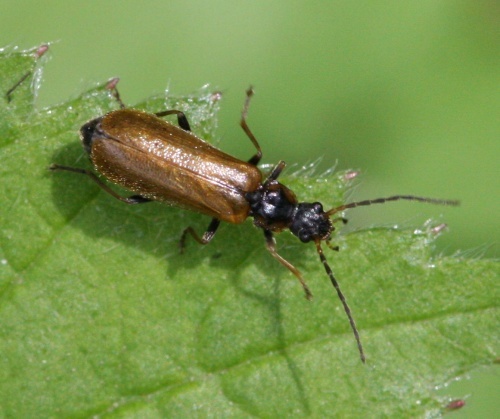 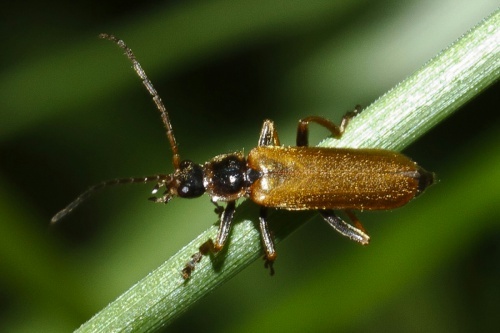 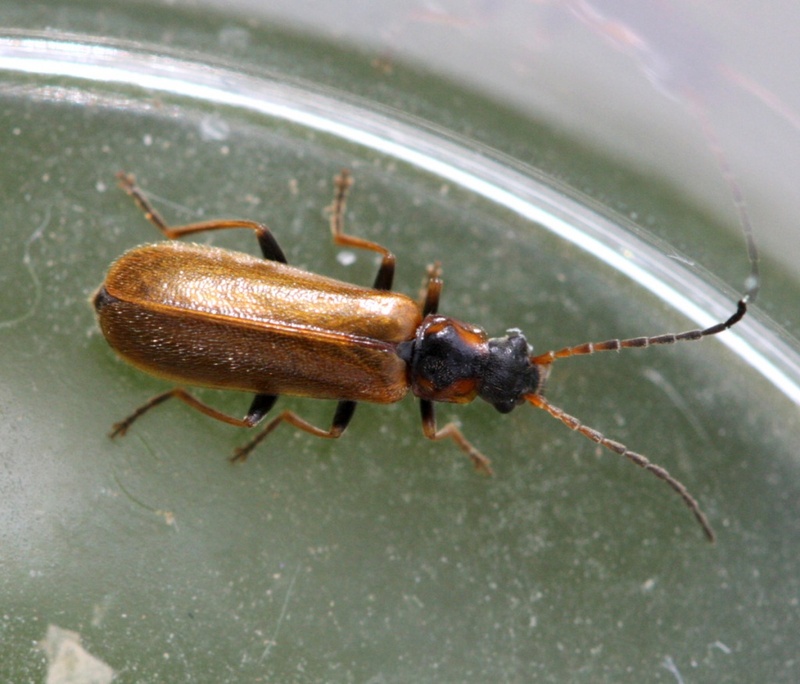 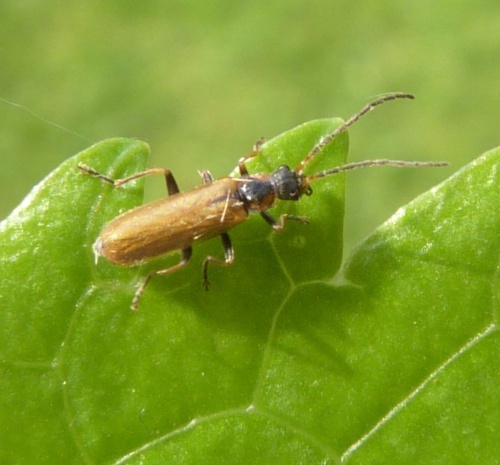 A small (5 to 6 mm) golden brown beetle with a black head,black thighs and a large black mark on the pronotum which is shaped like a vase with an angled base. 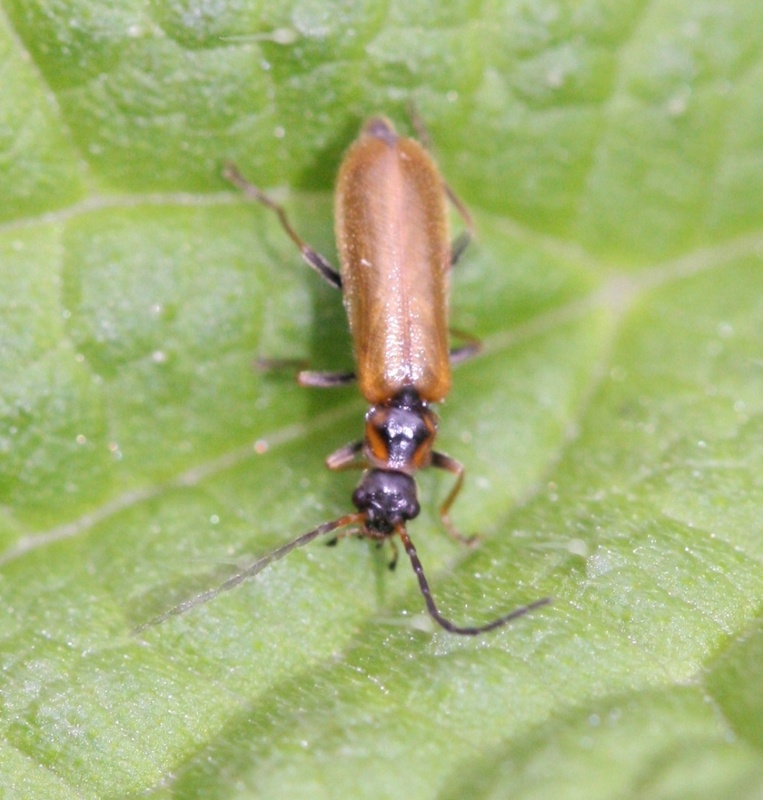 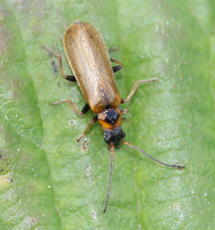 Rhagonycha testacea is similar in size and colour but has all yellow legs. 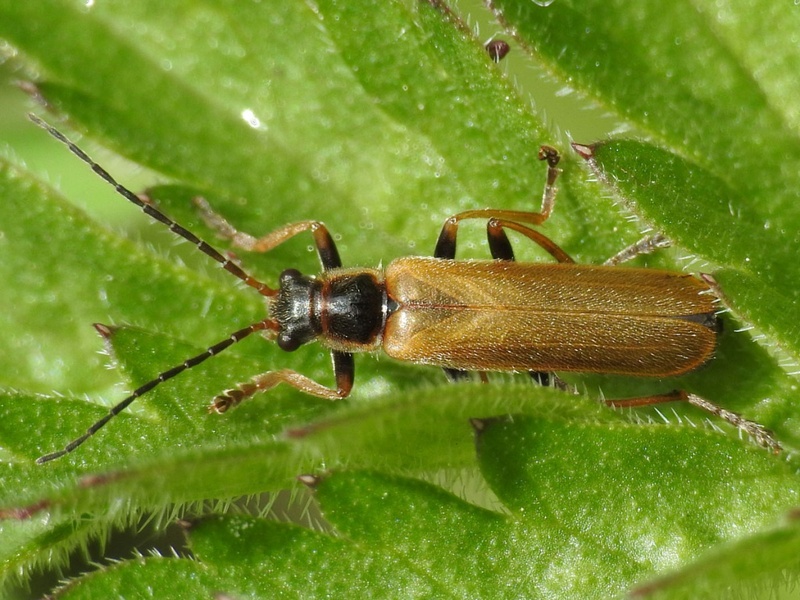 Cantharis decipiens is slightly larger (6-8mm) with the black mark on the pronotum shaped like a butternut squash and having a rounded base. 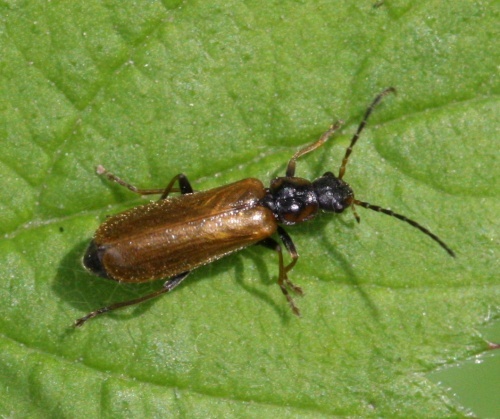 Typically occurring in open grassland on dry soils. 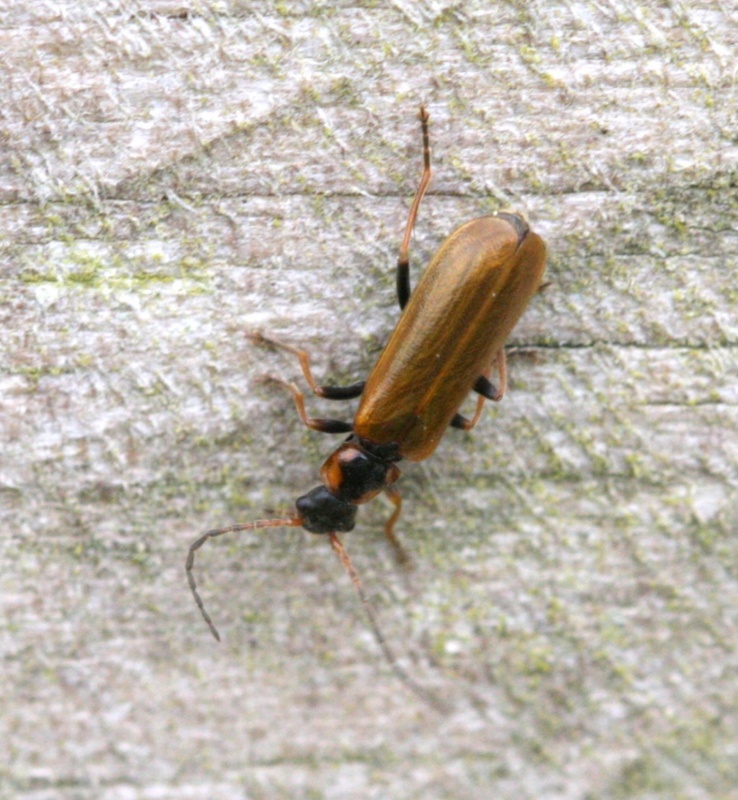 Widespread and fairly frequent throughout Britain. Fairly frequent in Leicestershire and Rutland. There were a total of 86 VC55 records for this species up to March 2015.